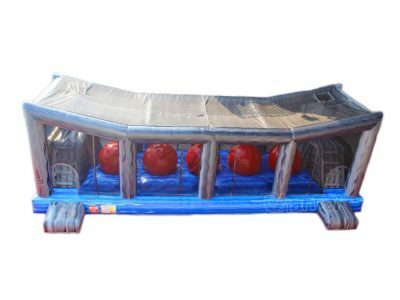 Inflatable wipeout course is an inflatable game structure with giant blow up balls, players need to cross the total wipeout course by jumping on those big balls and rapidly moving on till safely reach to the other side. 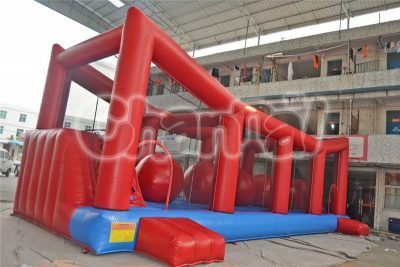 The difficulty is to keep balance when on the balls, the trick of success is to get through the course very quickly and step on the middle of the top area of those large air balls. 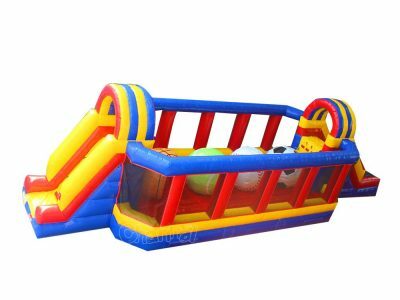 Wipeout inflatable obstacle course is challenging and fun for both adults and kids, it can be used for any event and party. Don’t need to worry about dropping, droppers will fall on soft air bounce house, and you have to admit it is also fun for you and spectators. 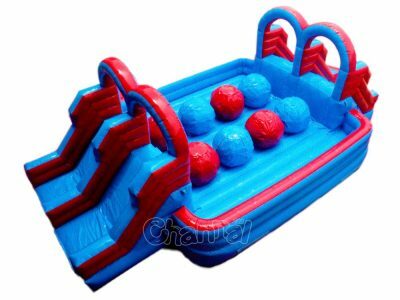 Channal Inflatables is a professional big baller inflatable manufacturer in China, we can design your own inflatables and we already have some inflatable wipeout courses for sale. You may also be interested in our meltdown bounce house game.